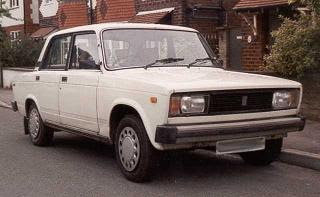 Family Lore: Why buy a Lada when you can have a Bentley? Why buy a Lada when you can have a Bentley? There are many law firms out there handling divorce cases, so why do so many people instruct us? The reason is simple: we charge more than anyone else. That means that our partners can afford the little luxuries in life, which makes them such great people to deal with. Look at it this way: why buy a second-hand Lada, when you can have a brand new Bentley? You want the best don't you? So don't go to those cheap high street lawyers who don't know what they're doing, come to us. After all, at this most distressing time you need to be thinking of yourself. To use another metaphor, if you had an embarrassing disease, you wouldn't go to the local quack to get it sorted, sharing a waiting room with the hoi polloi. Of course not - you'd go straight to your Harley Street specialist. At this most difficult time your life, you want to know that you have the best lawyers that a lot of money can buy – that is why so many people instruct Venal & Grabbit. Venal & Grabbit. Reassuringly expensive. 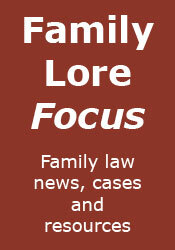 The dismantling of the family justice system? Are some fathers their own worst enemies? No legal aid for 'personal problems'? Venal & Grabbit win contact case! Facebook DOES have a purpose!